Take an entire tree and cut it into lumber? Huge logs are loaded up and a 60 inch saw blade will amaze you with the speed in which it cuts. Children will have a better understanding of where lumber comes from so they will appreciate wood as a resource, not just a material. This steam powered sawmill is very typical of local mills that were found in our area and surrounding towns and villages across the county. Operates on select weekends. On special weekends, volunteers generate electricity with the city of LaPorte’s first electric generator. 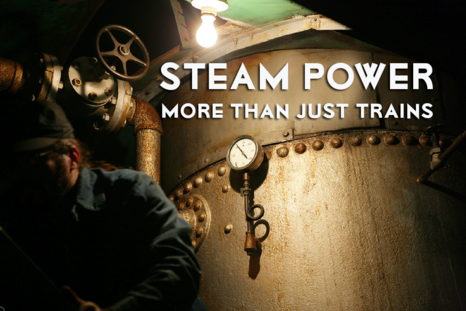 The steam engine will spin the dynamo to create 60 KW of DC current, showing how labor intensive it was to create power 100 years ago. This “light plant” was located in the LaPorte courthouse powerhouse. Iconic in size and appearance, the Browning Locomotive steam crane is used to lift logs on to the sawmill skid-way when operation demands. Originally built for the US Navy in 1941 by the Browning Crane & Shovel Company. America’s unsung hero: The steam traction engine, sometimes referred to as a steam tractor, was a versatile tool for the farmer. It was responsible for increased food production in the 1890s - 1925. Farmers could finally purchase a machine to pull plows and power devices like threshing machines - tasks horses did before these unique machines were available. The museum’s examples of the steam traction engine come from numerous manufacturers and were built between 1899 - 1922. 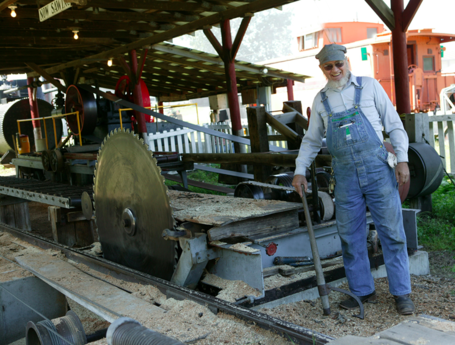 Operation is on select weekends and in full swing at the Labor Day Weekend Steam & Power Show when the threshing machine is used to process grains for the fall harvest. Every town, village, or settlement had a blacksmith. The craft was indispensable back in the early 1900s. Everything from wagon wheels to plows was repaired, as well as nails and other hardware produced, at your local smith. Our blacksmith shop is open various days throughout the operating season. Visit the blacksmith and see how fire, anvil, and hammer come together with artistic knowledge to create useful and beautiful creations. You can even purchase some of these one-of-a-kind items from the Depot Store - the museum's gift shop. Each of our three railroads have their own story. 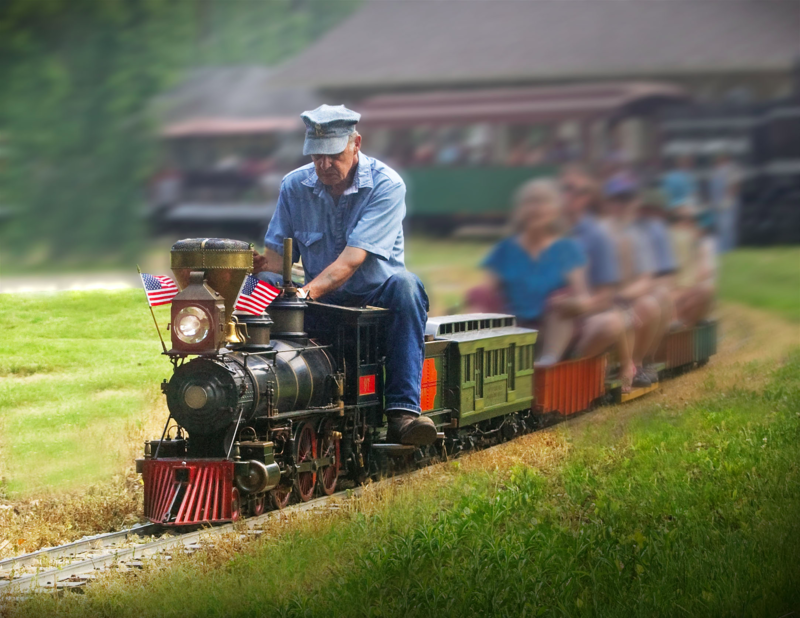 The full size railroad is of very rare narrow gauge equipment from many counties which was used to haul freight and/or passengers for commerce. 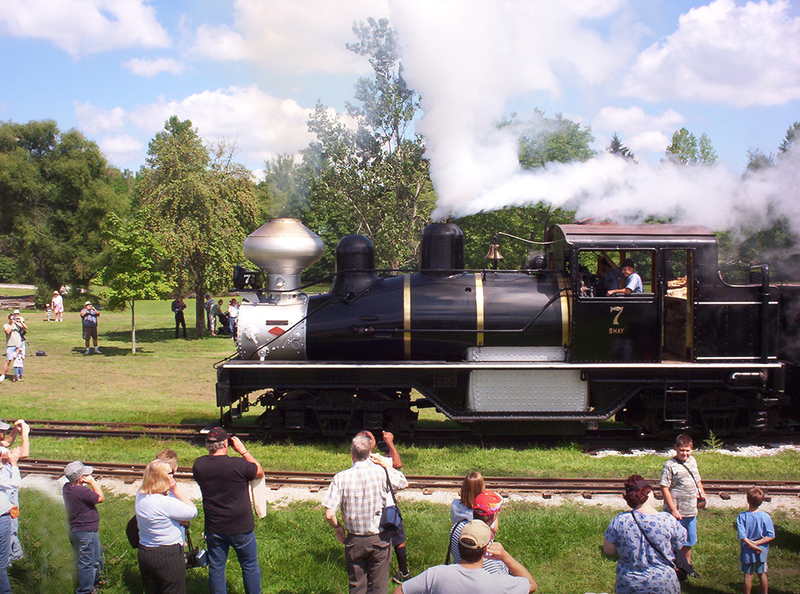 Our largest locomotive is a Shay type that hauled logs out of the mountains in the West. 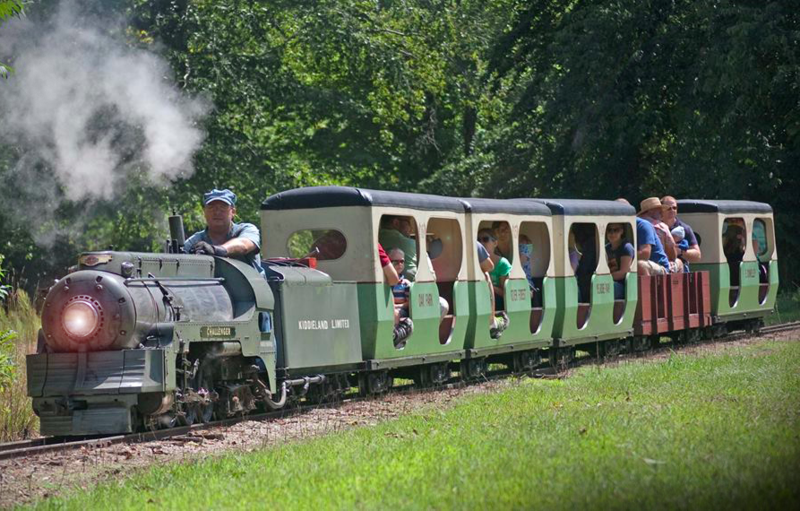 The medium sized vintage Kiddieland railroad provided entertainment as part of small amusement parks from the 1920s through the 1970s. One more small railroad (one-eighth scale) takes your family through the woods and on an under/over bridge route that is fun for “kids” of all ages. These trains are built by craftsmen and some even operate on steam power just like the full sized locomotives. An amazing hobby that kids dream of, thankfully you don't have to spend years of your life in building these works of art to experience them! Steam Sawmill with 60 inch blade. 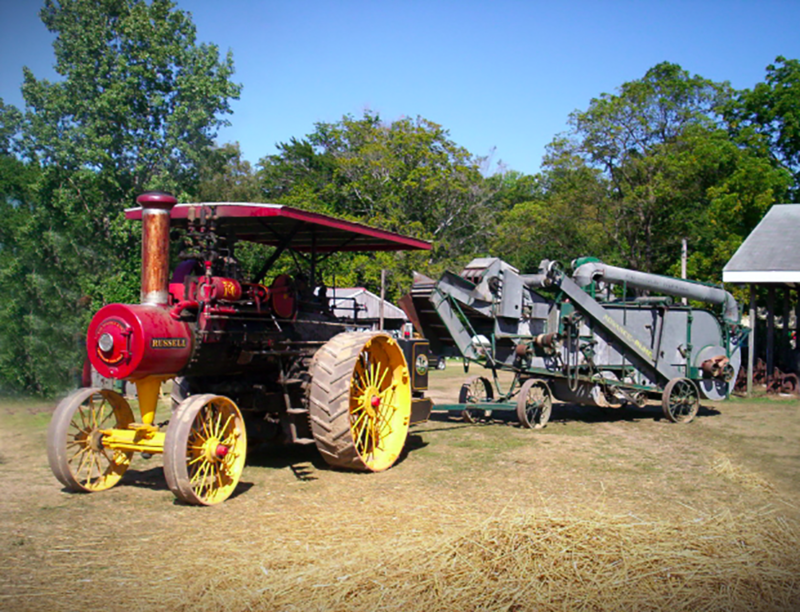 Harvest time, Steam Traction Engine with Threshing Machine.